Fly-fishing was always daunting to me, largely because it seemed like a lot of work and preparation followed by even more work and little to no potential return. But I had never given it a proper shot, even though I went to college near the Great Smoky Mountains, which is arguably some of the best fly-fishing in America. When I returned to Gatlinburg 10 years later, I resolved to right my wrong. And was I ever wrong. Not only is it easier than I imagined, but it is a lot more fun. Alright, so perhaps I cheated, or rather, was strategic, as I wasn’t going fly-fishing without a guide. Smoky Mountain Angler knew all the best spots and tricks to make me feel like a pro in no time. My half-day excursion felt more like a few different trips in one. 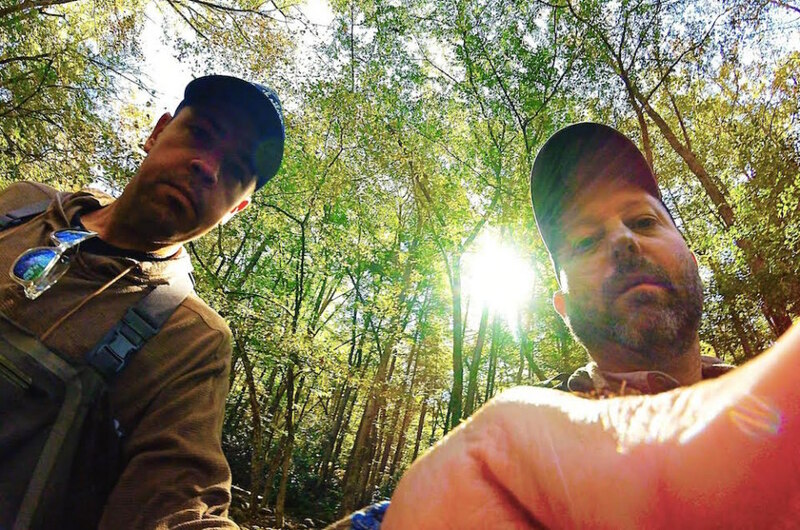 Yes, it was primarily a fly-fishing expedition, but it was also a road trip through the Great Smoky Mountains coupled with guided hikes up the various rivers and streams with history and views I otherwise wouldn’t have experienced. After all, it’s not every day I dress in waders to hit the outdoors. The intel I received from Chad alone was worth having a guide. 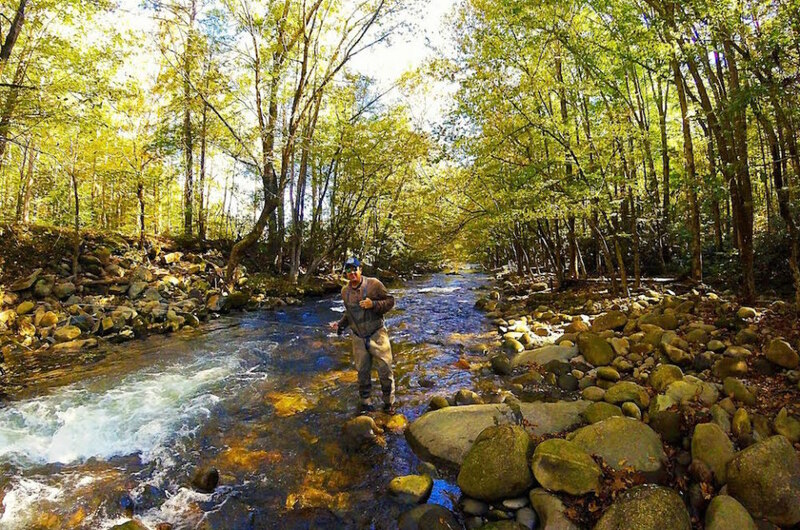 As we drove several miles into Great Smoky Mountains National Park, he gave me the rundown of both fly-fishing in general and more specifically, fly-fishing in the Great Smokies. What he highlighted more than anything is the first cast is the most important cast. That, and you don’t have to look like they do in the movies. Within just a few minutes, I not only had my first bite, but had caught my first fish. I reeled it in long enough to identify that it was a 9-inch rainbow trout, before we let it go. With many types of fishing, you’d probably stay in that one area to see if it was a honey hole. But not with fly-fishing. We continued upstream, stopping numerous times in and around rapids, where we’d cast for a few minutes and then move on. This was largely the course of the morning, continuing up the road a few times to try other areas that Chad recommended. By the end of the morning, I had caught several fish and had triple the number of bites (turns out I’m a bit slow to react after a bite). While I’ve grown up fishing my whole life, this was my first time even attempting to fly-fish. What stood out was how much more active it was, especially when I slipped and fell into the stream. Growing up on quiet lakes and ponds, simply put, was often boring. 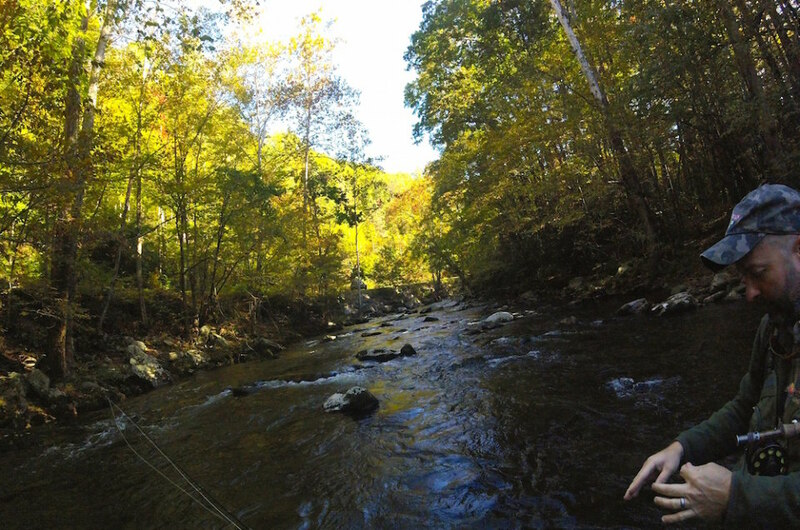 However, I left my half-day fly-fishing trip in the Great Smokies with a lively morning and a working knowledge of how to fly-fish on my own. Now I just need to master rigging the gear. 1. Wear neutral colors. You don’t need to wear camouflage, but don’t wear bright colors or you’ll scare off the fish. 2. Wear clothes that can get wet (and bring a change of clothes). As I quickly learned, walking through a stream is easier said than done. Make sure you wear clothes that are quick drying and can withstand a little mud. 3. Shorten your cast. You’ve probably seen movies or television shows where people are fishing with incredibly long casts. You really don’t need such a long line. Most of my casts were 20 to 25 feet at most, which is easier to control and reel in.